As it has done for the past few months, the Cabinet Office of Japan reported that the nation's economy remains in a state of slow but steady recovery, according to Reuters. Yet signs indicate that it still cannot proceed past the challenge that has bedeviled it dating back to its periods of contraction: a persistent lack of inflation. 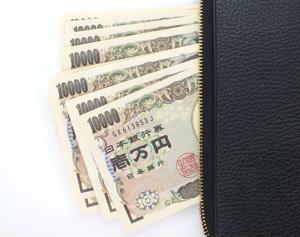 CNN Money reported that the responsibility of dealing with the inflation issue largely falls on the Bank of Japan, but the organization hasn't managed to meet this goal despite considerable efforts. For example, Haruhiko Kuroda, governor of the Nipponese national bank, bought government bonds en masse starting in 2013, and the bank thus owns more than 50 percent of Japan's bond market as of now. Intended to incite investment, the strategy didn't have a significant effect. Driving down interest rates also did little to address the issue. Prices that have steadily fallen since the mid-1990s - when Japan's economy was last dominant - are arguably the biggest persistent contributor to the country's inflation problem, due to their propensity for the discouragement of spending. Takuji Okubo, managing director at the Japan Macro Advisors financial consultancy firm, elaborated on how this issue manifests itself societally. "If you're 40 years old, you've spent half of your life in a world where prices tend to fall rather than increase," Okubo said, according to CNN Money. He also stressed that if the government did not figure out a way to naturally incite inflation within the next few years, it could lead to a full-blown recession. That would necessitate emergency economic stimulus measures that could have detrimental long-term effects, such as delivering stimulus cash directly to Japanese citizens. Okubo and like-minded Japanese economists believe strategies to strengthen the company's labor market will be most helpful in bringing about real reform.